Charlottenburg, Germany and Donauwörth, Bavaria after World War II. Cloth dolls are usually marked Käthe Kruse on the sole of the foot and some have a number. 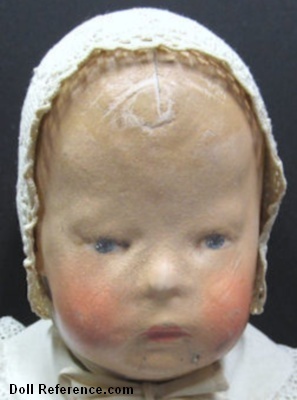 Celluloid or plastic dolls are usually found with the turtle mark (celluloid) and the Käthe Kruse name on their backs.